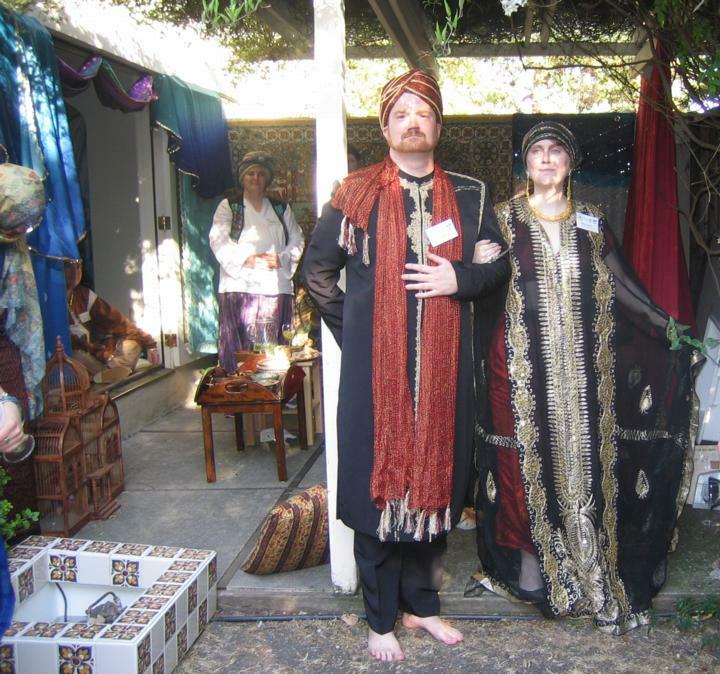 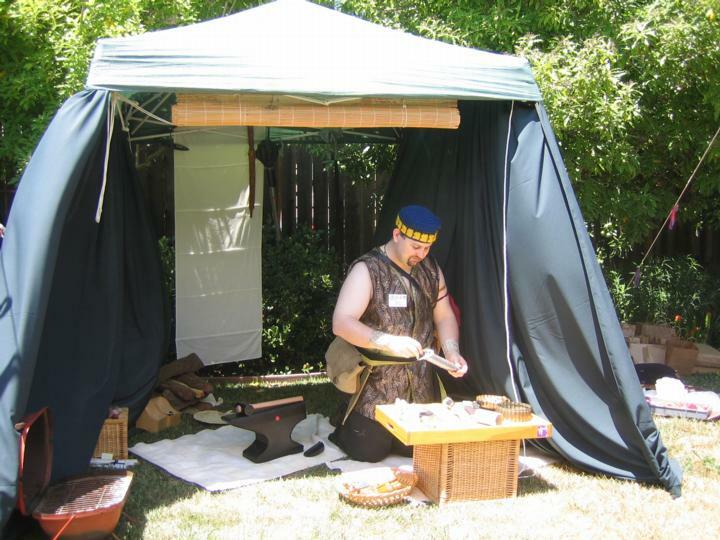 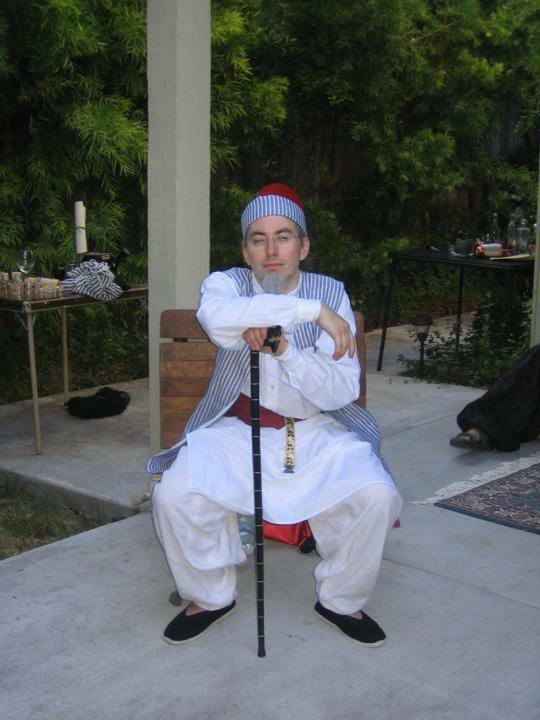 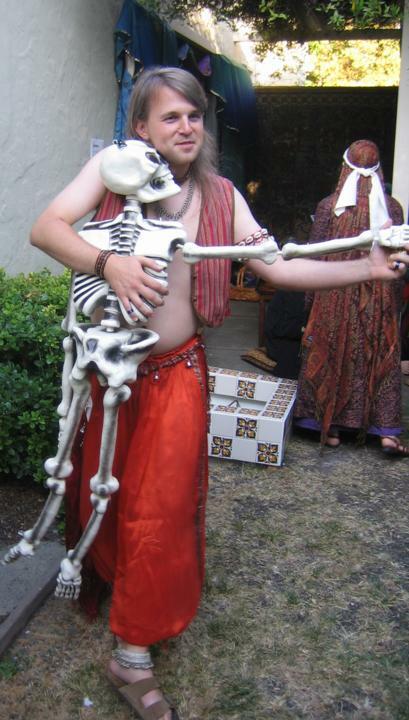 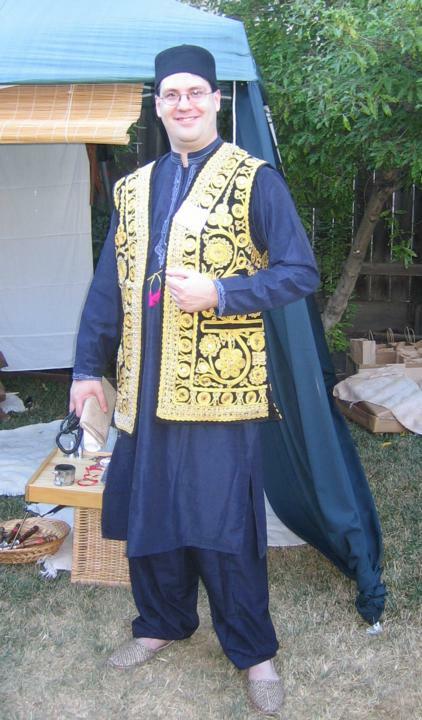 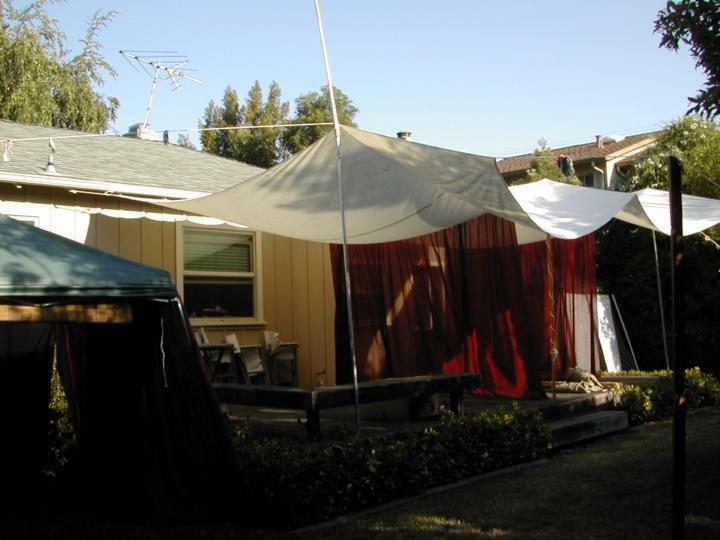 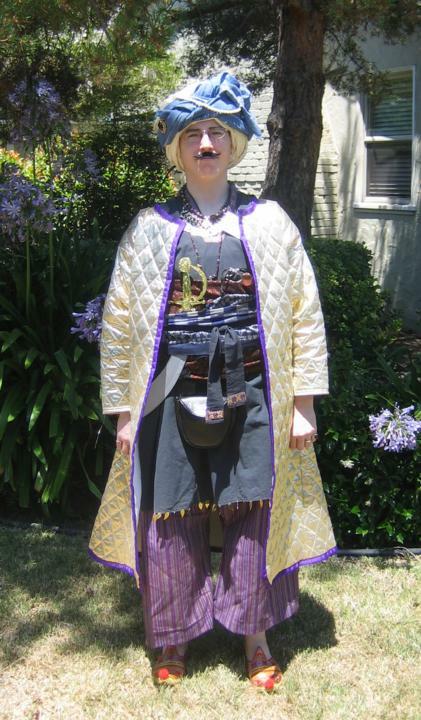 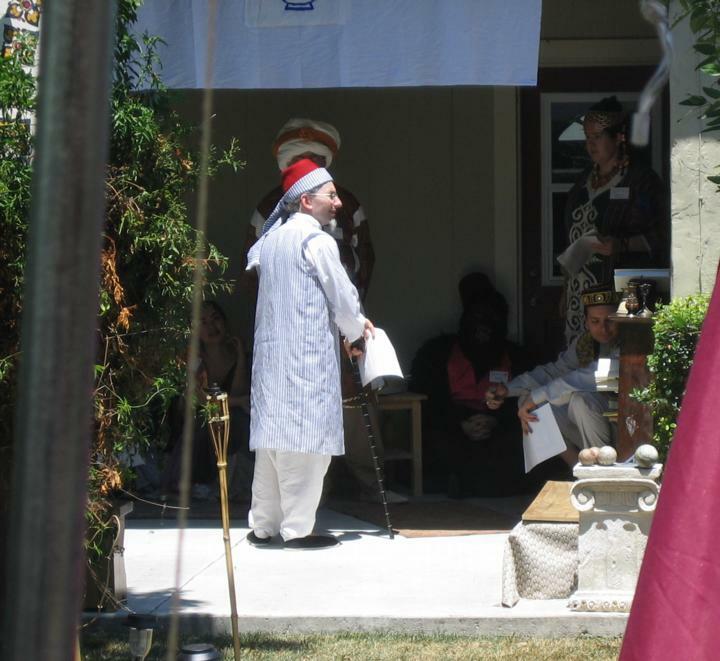 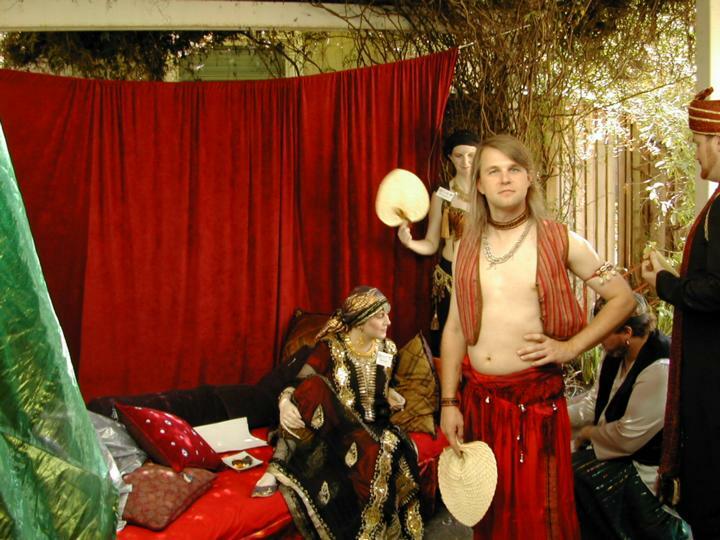 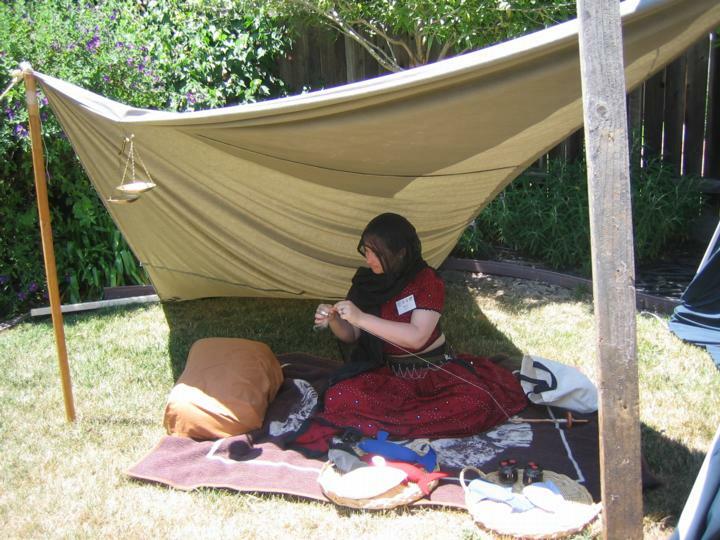 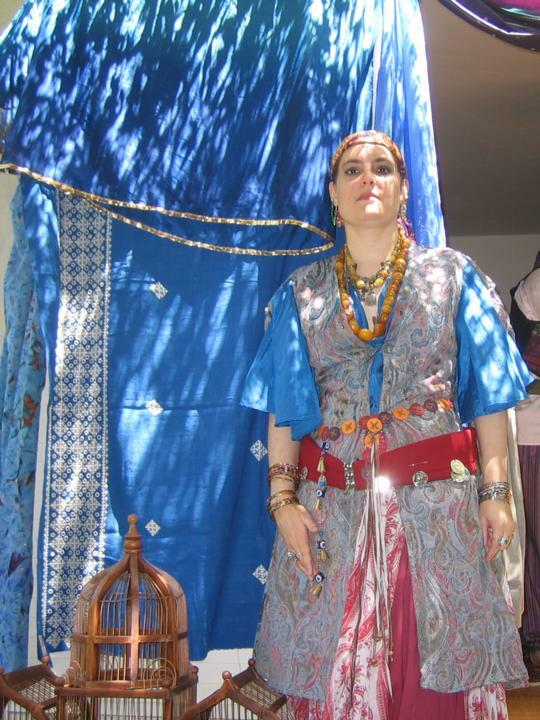 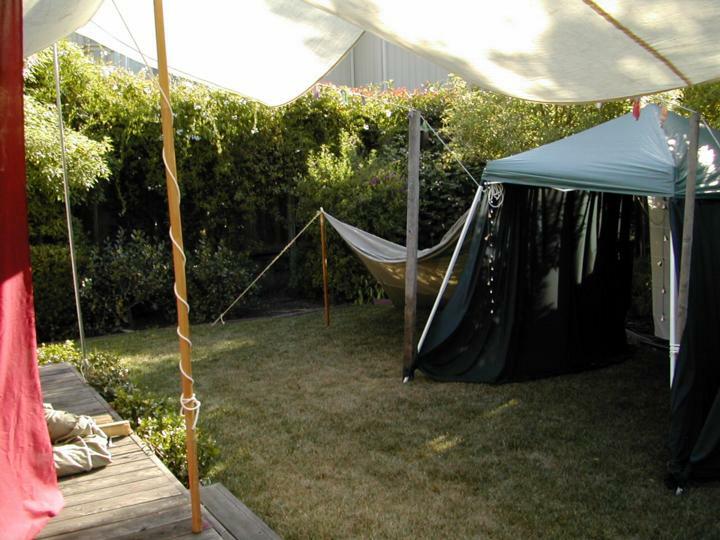 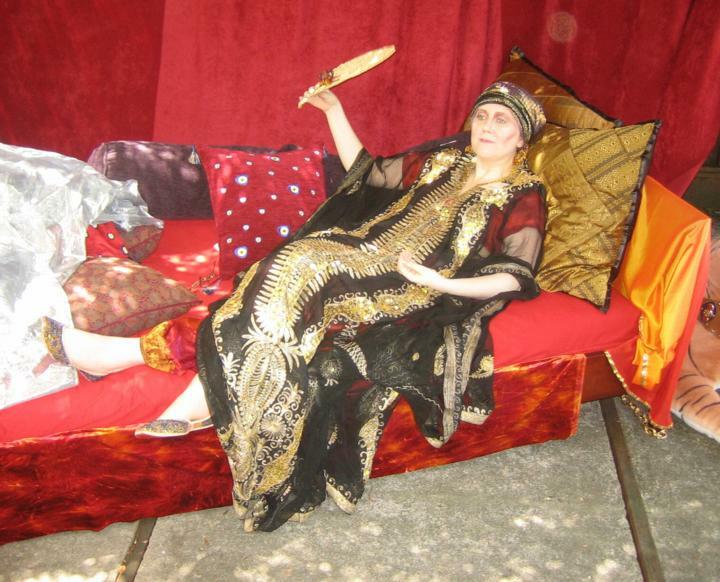 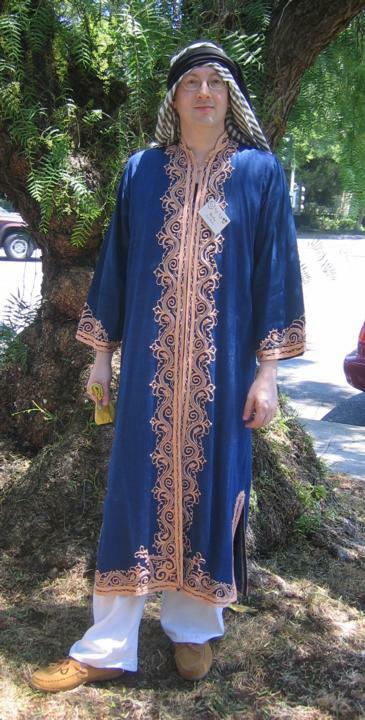 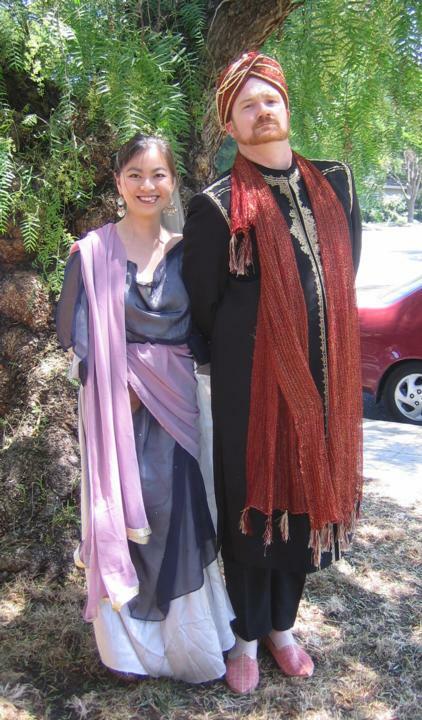 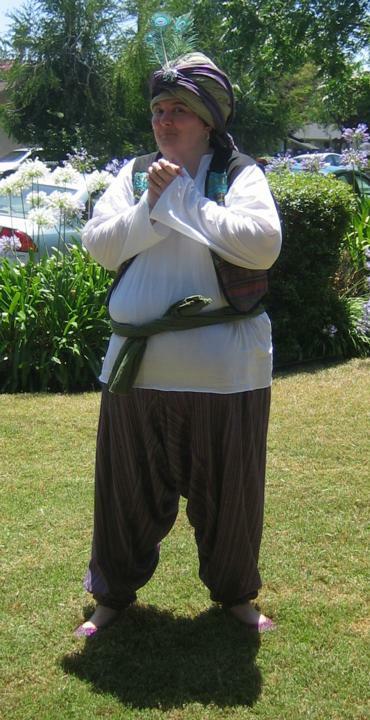 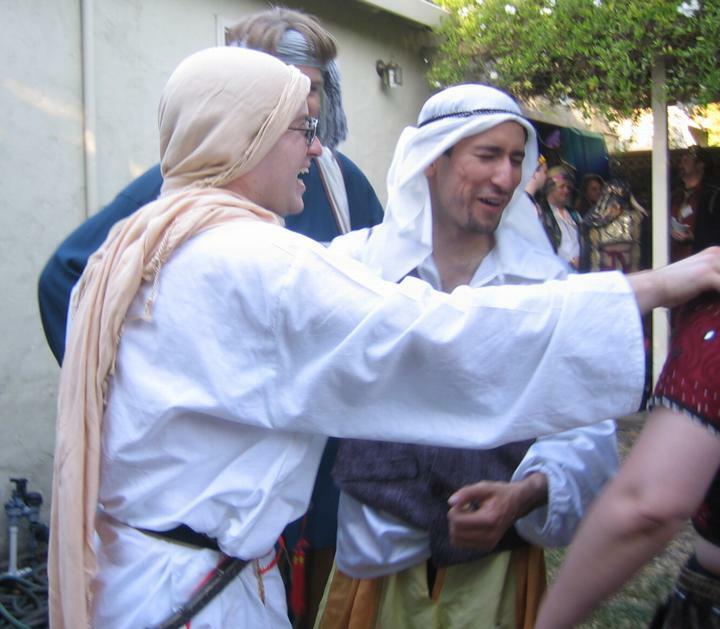 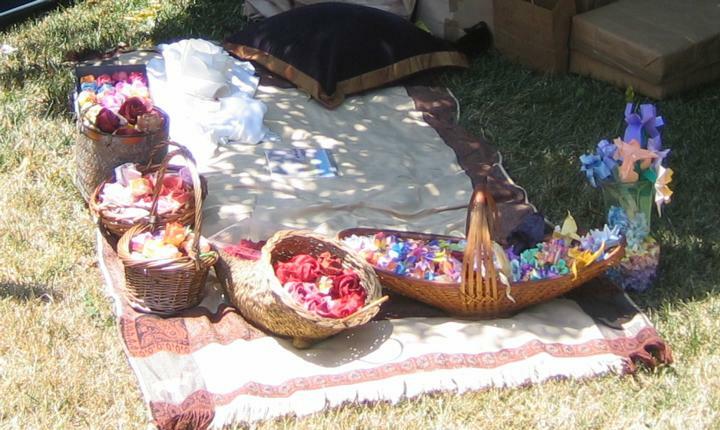 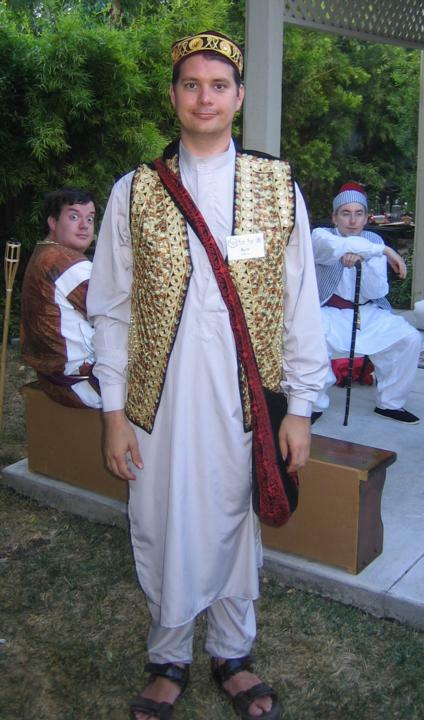 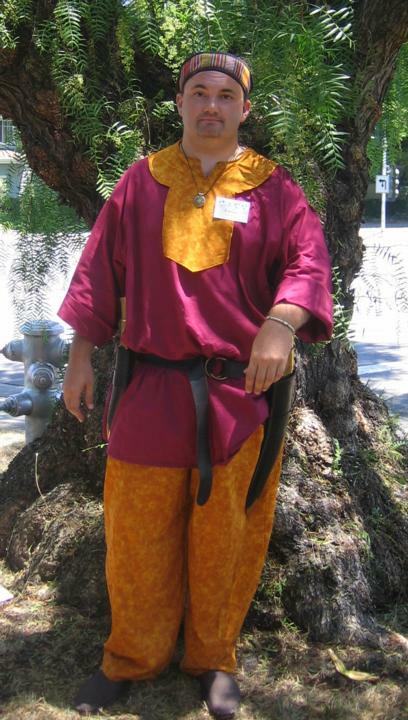 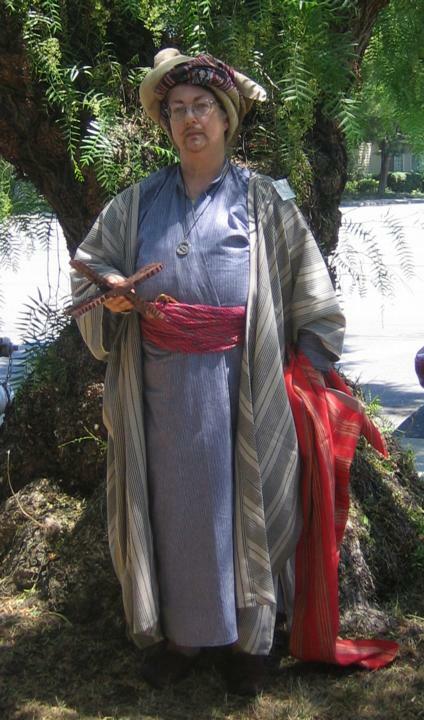 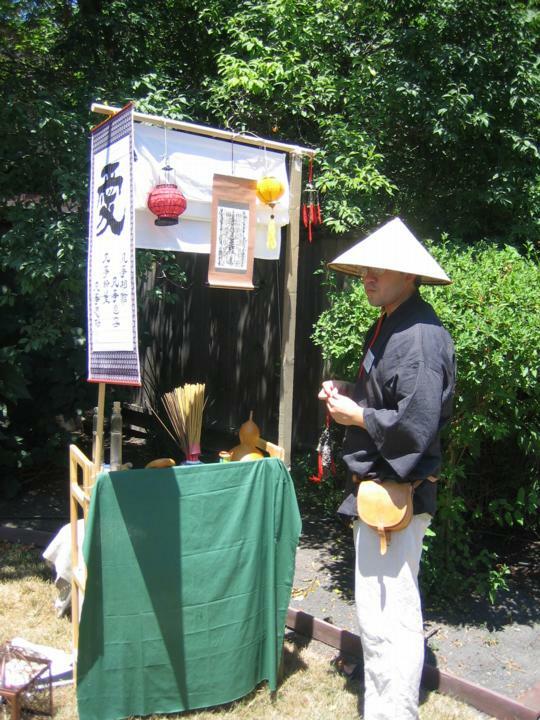 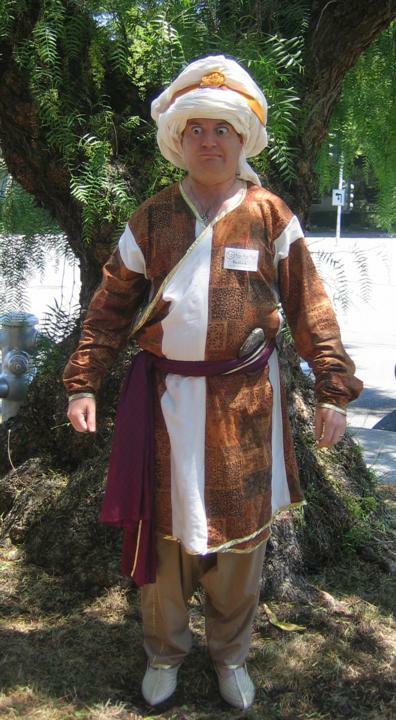 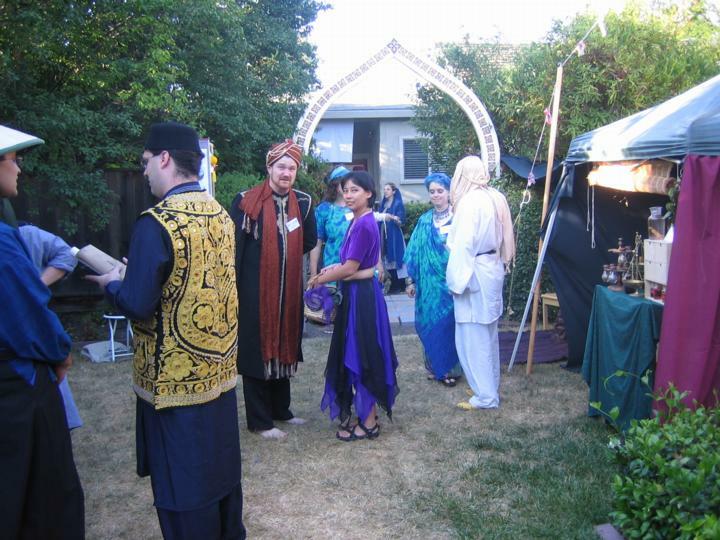 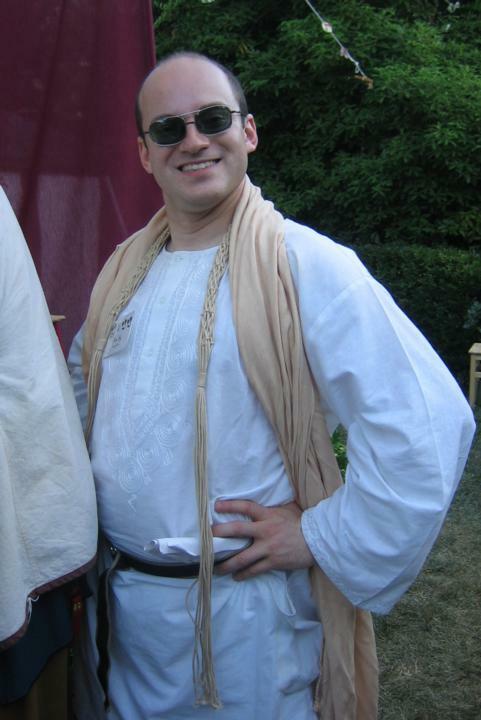 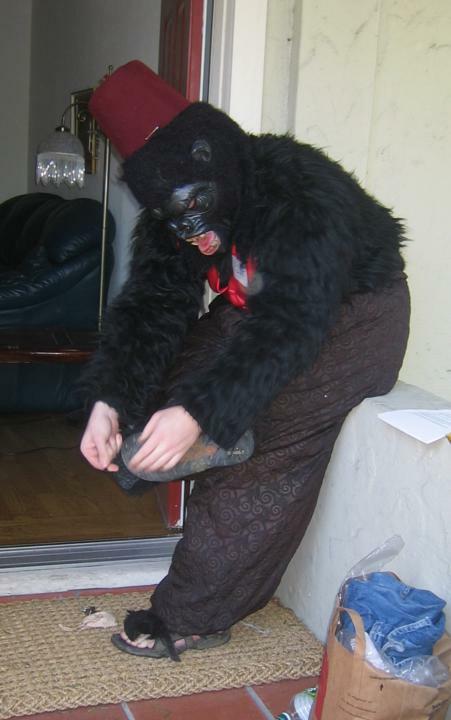 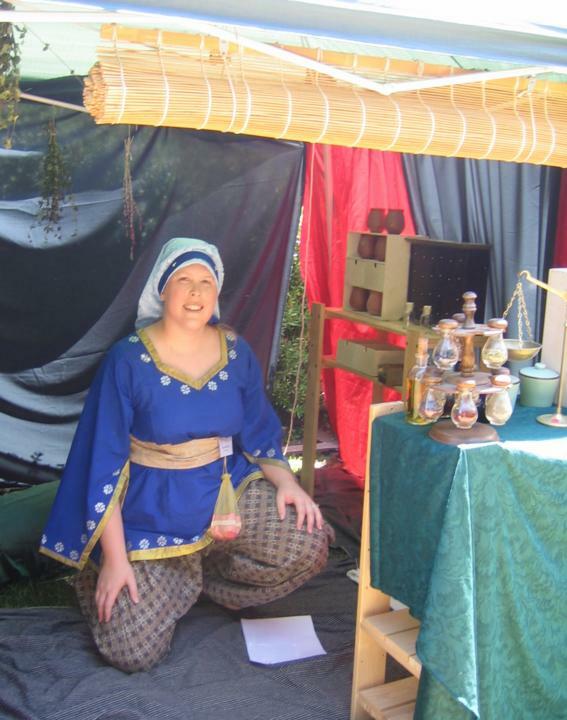 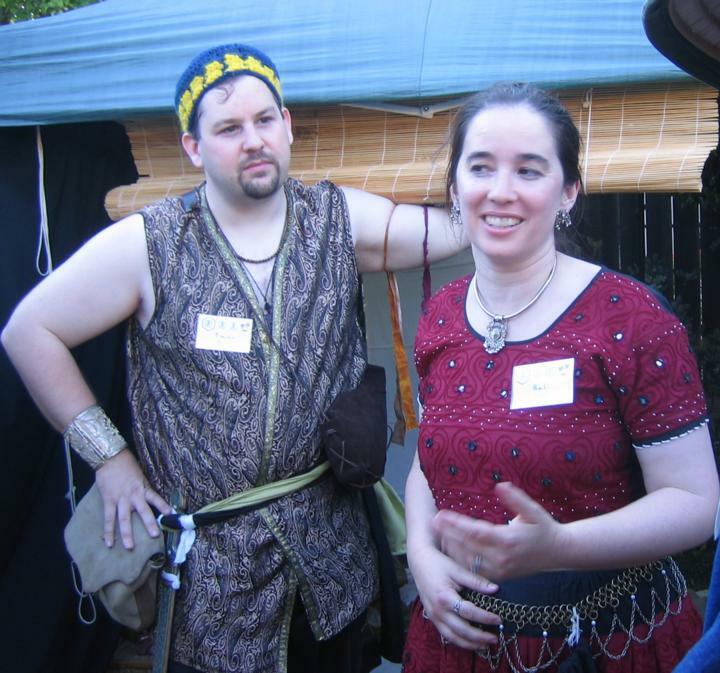 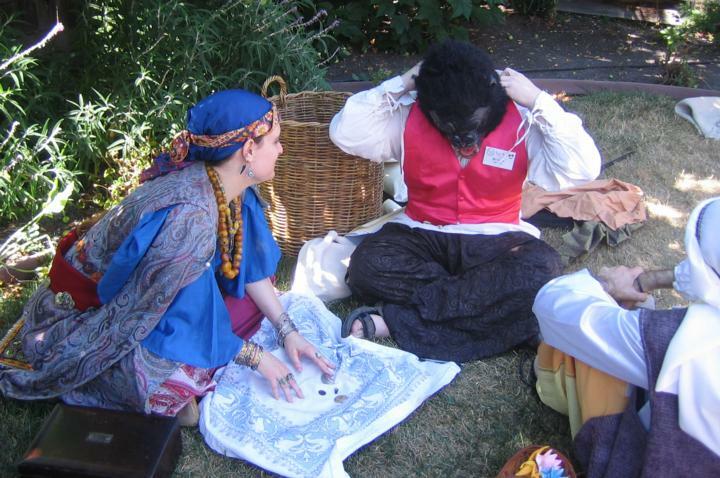 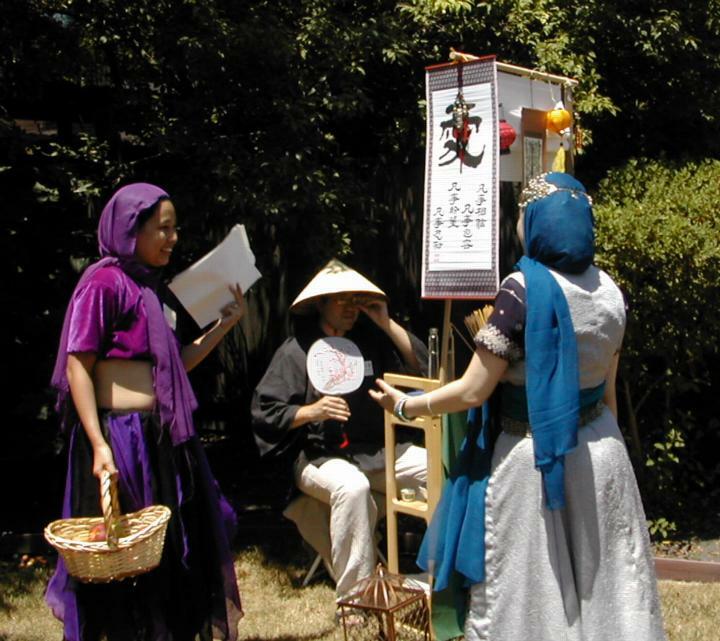 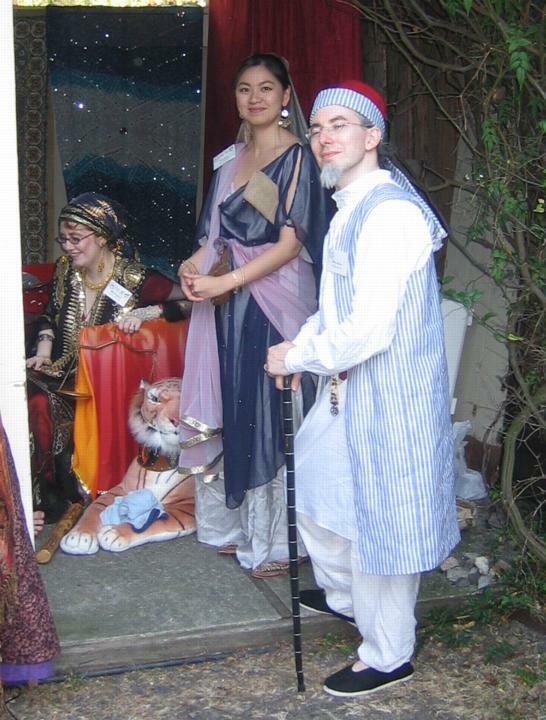 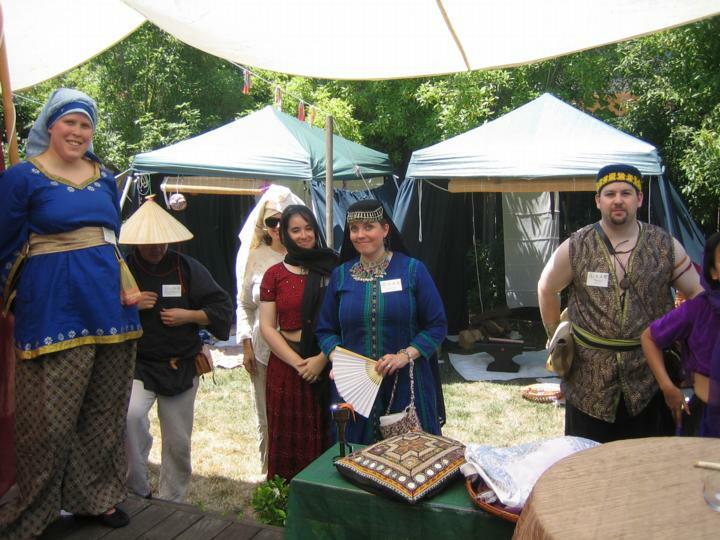 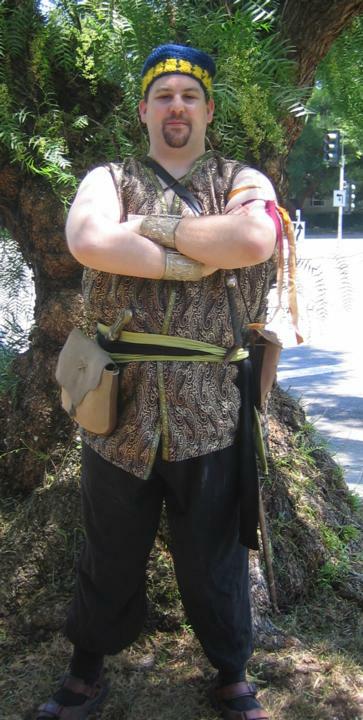 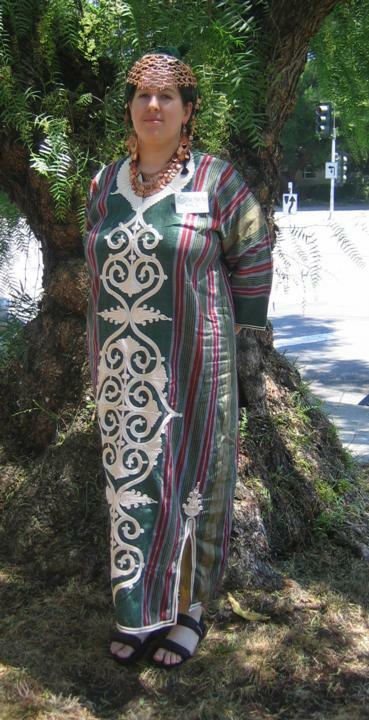 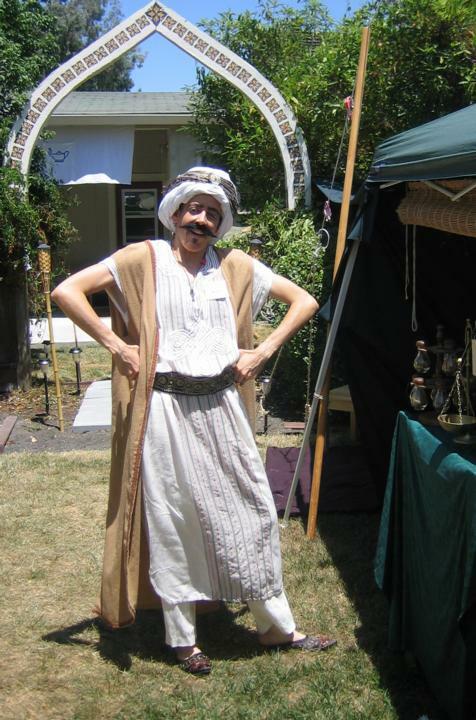 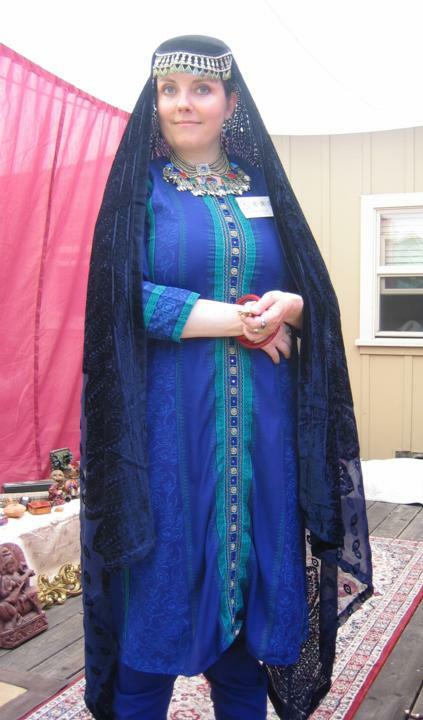 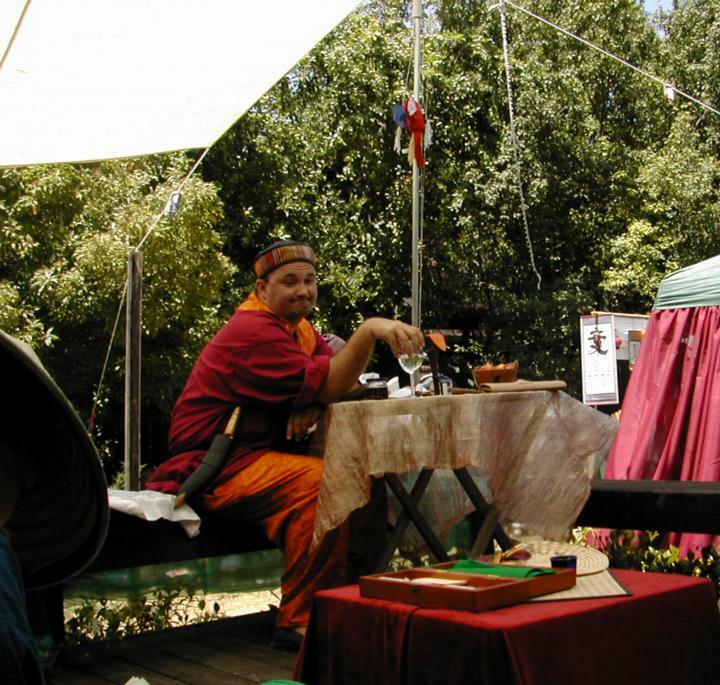 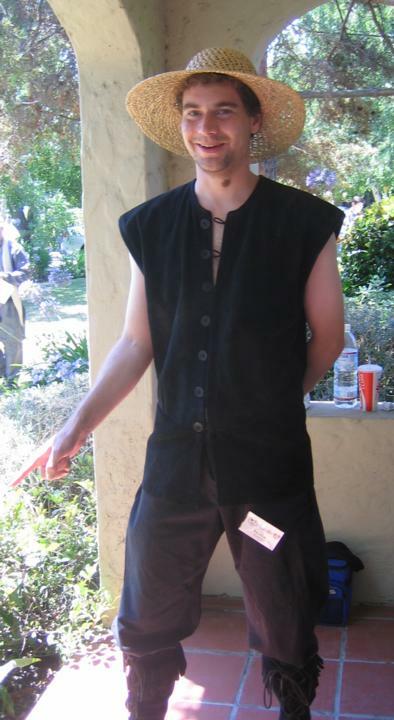 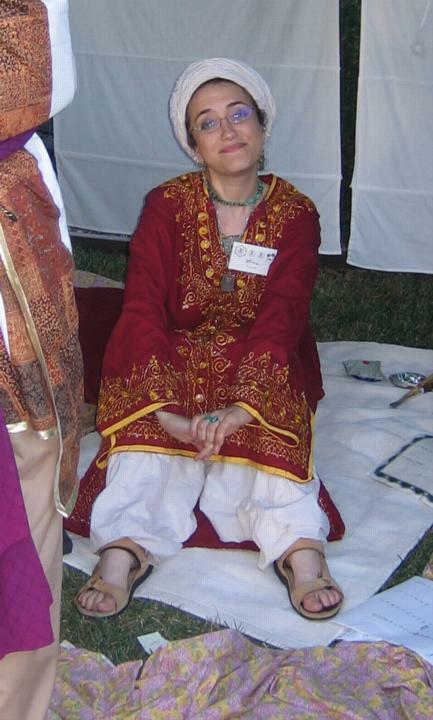 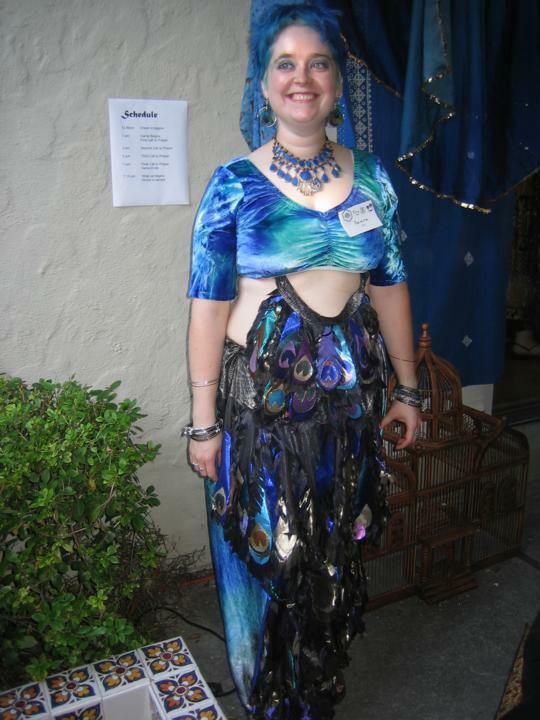 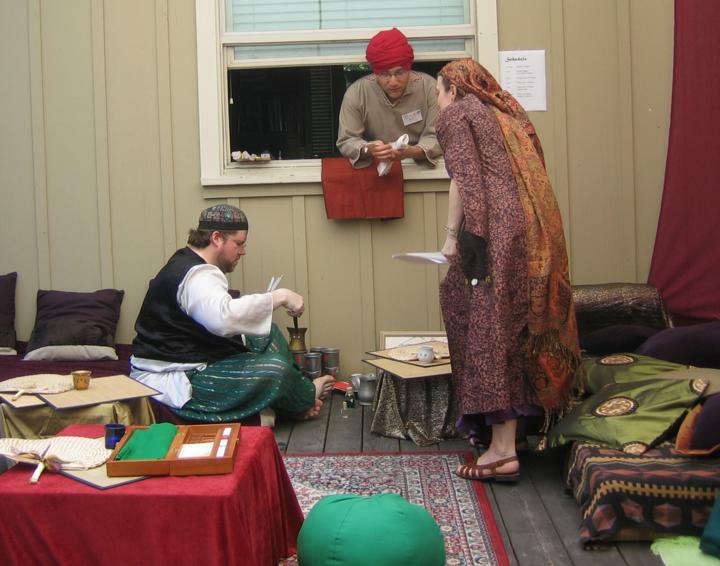 In the summer of 2005 we ran a LARP with an Arabian Nights flavor in Farzabad, which was built in our backyard. 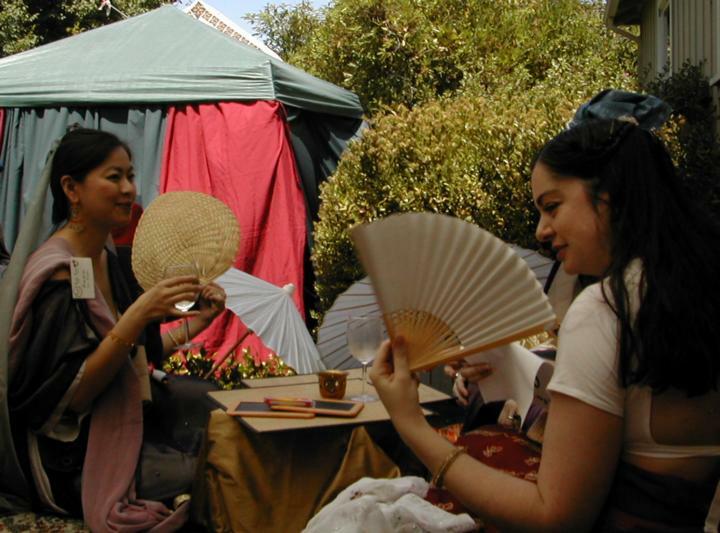 In the crowded bazaar there was a coffeeshop (where gentle patrons relax and Spanish mercenaries regret the lack of wine to drink), a blacksmith, a fishmonger and a variety of fortunetellers. 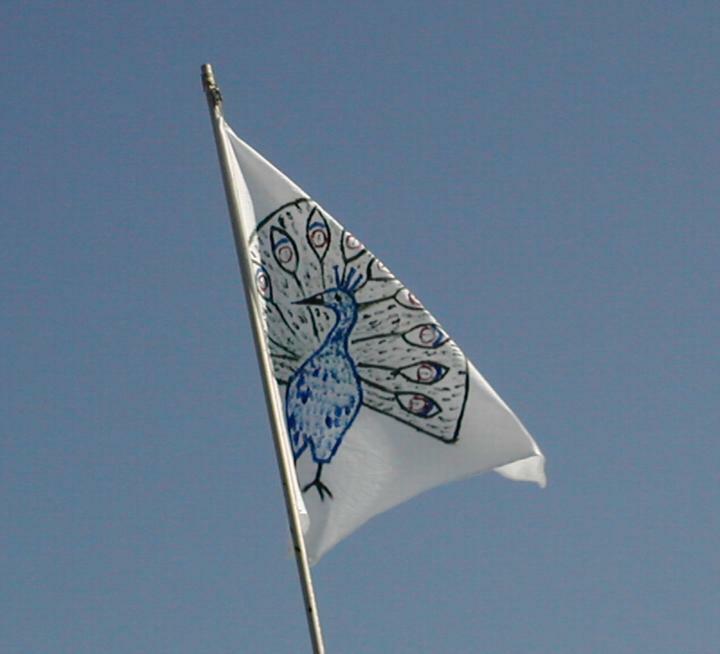 People mingled and argued, while over everything waved the flag of Farzabad. 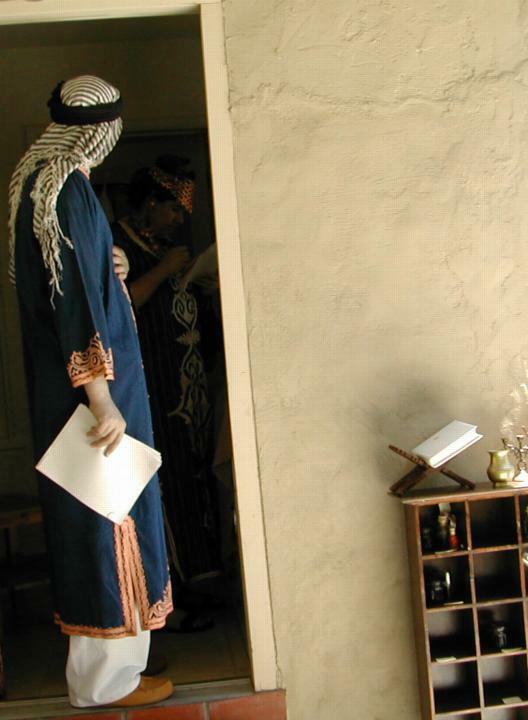 The restful environment of the University of Farzabad included a wide variety of laboratory facilities and an extensive library. 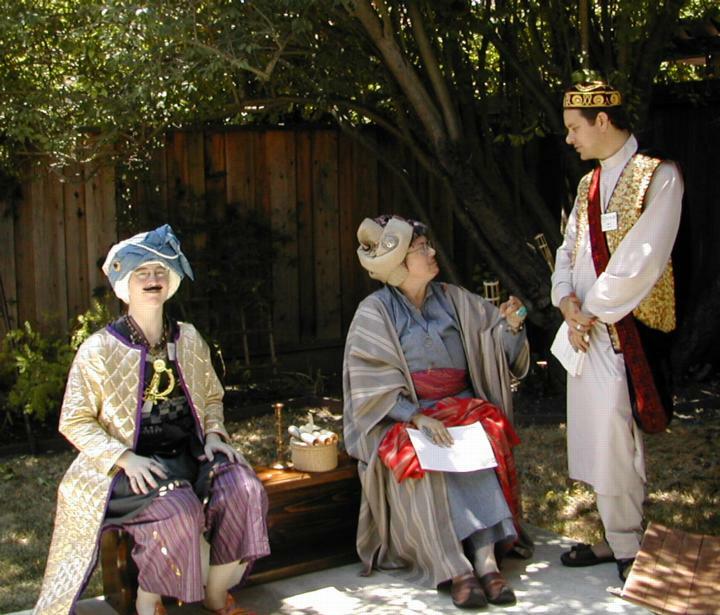 At the royal palace, supplicants waited to be admitted to the Princess' court while courtiers hovered around. 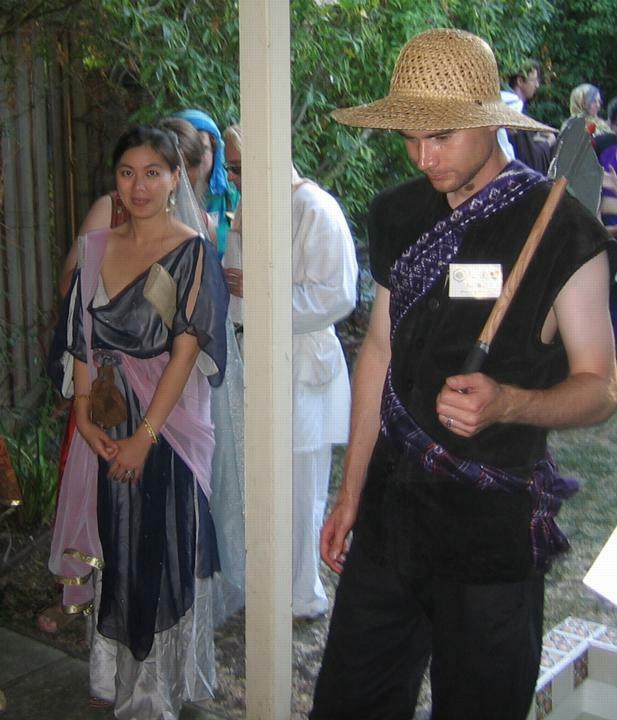 We had a cast of, well, dozens. 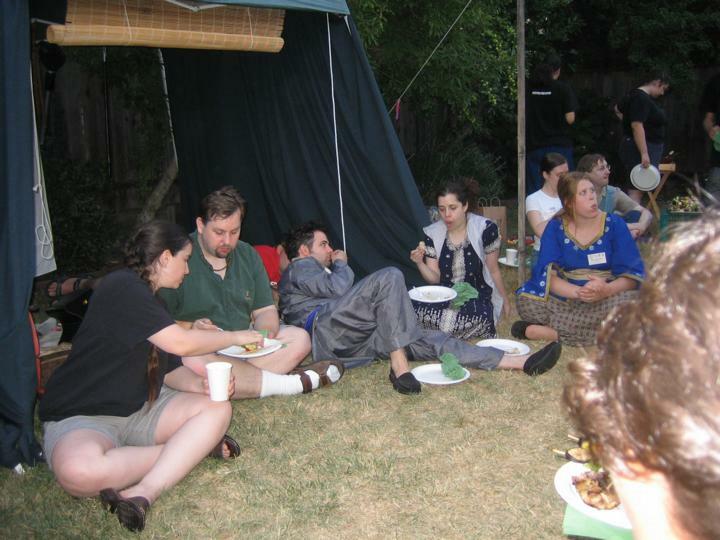 Unfortunately we didn't get good pictures of everybody.